15 Cruelty-Free Lipsticks to Add to Your Makeup Bag! A good shade of lipstick has the power to brighten your entire look and give you that extra bit of confidence to walk around like the boss you are! To feel good about the lipstick you’re using as well as yourself, it’s best to use cruelty-free products. This way you know that no animals were harmed in order for you to achieve your gorgeous look. To help you out, we put together 15 beautiful cruelty-free lipsticks available on Amazon that you should check out. Most people are familiar with popular brands like Urban Decay, Tarte Cosmetics, etc., but we wanted to introduce you to brands that may be new to you. Some of them might just become your go-to and permanent additions to your makeup bag! 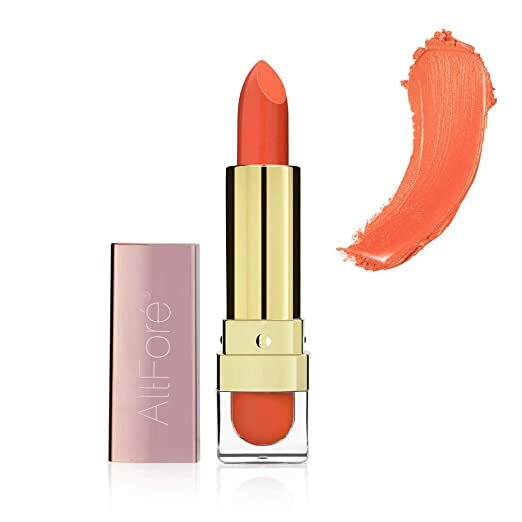 AltFore Cosmetics’ Vegan Hydrating Lipstick is free of gluten, harmful parabens, sulfates, phathalates, and best of all free of cruelty. Their products are not tested on animals. This lipstick is light and smooth, and only requires minimal retouching. The finish is semi-glossy with a silky texture. It’s available in six shades: 50s Ride, Glimmer Lush, Plum Rose, Ripe Lovely, Roarange, and Up You Beige. It costs $13.99. Luxury by Sofia’s Lipstick/Lip Liner Pencil is highly pigmented and provides full coverage. It comes in a retractable stick and contains antioxidants through certified organic botanical and plant ingredients. On top of being cruelty-free, it’s also phthalate-free, petroleum-free, and gluten-free. It’s available in six colors: Burgundy, Coral, Dolly Pink, Raspberry, Simply Pink, and Soft Pink. The price is $13.99. Aqua Boudoir’s Natural Organic Matte Lipsticks are vegan, gluten-free, lead-free, cruelty-free, and preservative-free. They’re also non-GMO and made with 85 percent certified organic ingredients, such as moisturizing jojoba, avocado, and coconut oils. They also contain naturally derived organic mango, cocoa, and capuaco butters which are soothing, hydrating, and have regenerative properties. There are five colors available, and they cost $18.98. 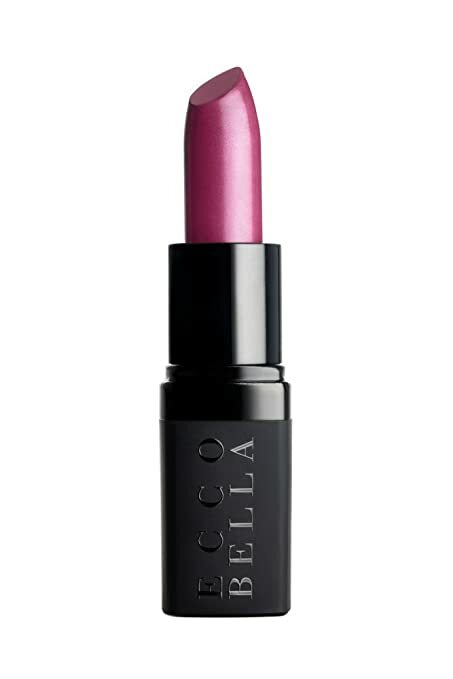 Ecco Bella’s Natural Lipstick is made with vegetable waxes, oils, and mineral pigments and are naturally preserved. They’re free of gluten, petroleum, and fragrances. It goes on creamy and moisturizes without flaking or chapping. Ecco Bella is truly committed to making cruelty-free products and a portion of profits goes to non-profit Friends of Animals. It’s available in 15 colors including Almond, Caramel, Claret Rose, Coffee With Milk, Latte, Mauve Rose, Peach Rose, Pink Rose, Mauve Rose, Merlot, Napa Grape Forest, Peach Forest, Primrose, Rosewood, Sangria, and Tuscany Rose. Their prices range between $14.00 and $21.95. 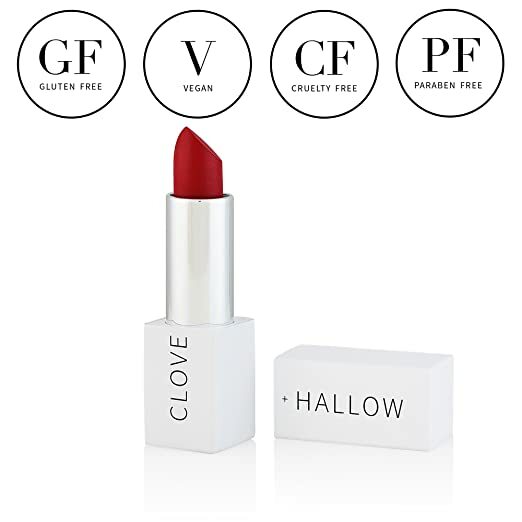 CLOVE + HALLOW’s Lip Crème is PETA-certified cruelty-free and vegan. It’s made with natural ingredients like sunflower, castor, and jojoba oils, as well as vitamin E. It’s free of talc, parabens, petrochemicals, and synthetic fragrances. The sturdy aluminum packaging with a magnetic cap is also guaranteed not to open or break in your bag. It’s available in seven colors: Ballerina Slippers, Blooming, Creamsicle, Damsel, Frosting, Psych, and Sugared Plum. They all cost $20.00. 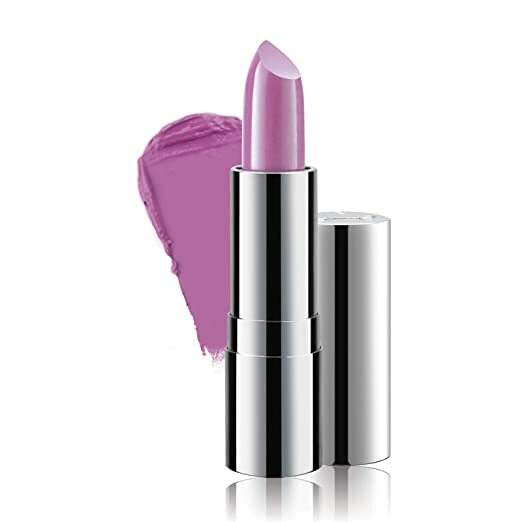 This Super Moisturizing Lipstick by Luscious Cosmetics is infused with vitamin E and grape seed oil for healthy lips. The founder of this company created these lipsticks when she couldn’t find any high-quality, vegan and cruelty-free products that were affordable, so these lipsticks are all of those things. They’re available in 18 colors in various shades of neutral and bright colors, and they all cost $17.95. 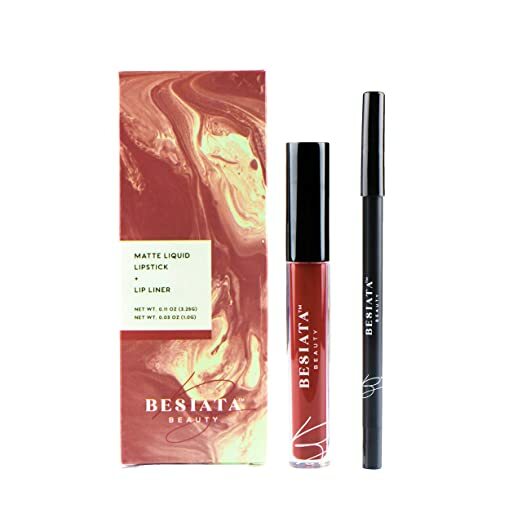 Besiata’s Matte Liquid Lipstick & Lip Liner Set is hypoallergenic, gluten-free, paraben-free, cruelty-free and vegan! It’s a liquid formula with a matte finish and is long-lasting. It’s available in a range of colors, including Cabernet, Cupcake, Fire, and Wild Berry. They cost $14.99. 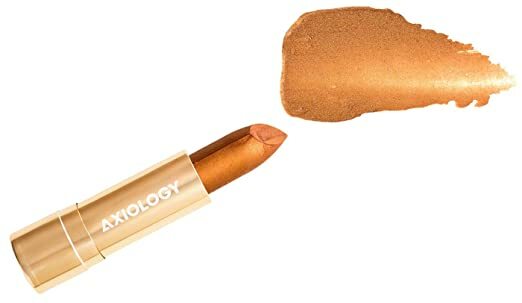 Axiology’s Lipstick is vegan and cruelty-free. It’s also free of parabens, sulfates, gluten, and palm oil. Not only is it made with natural ingredients, but the packaging is made with recycled paper. There are 22 colors available from gold to shades of brown, red, pink, and more! They all cost $30.00. Palladio’s Herbal Lipstick is infused with aloe vera, chamomile, and ginseng. It’s also richly pigmented and long lasting. There are 23 colors available including shades of brown, red, pink, and more. They are affordable, ranging from just $5.84 to $7.00. 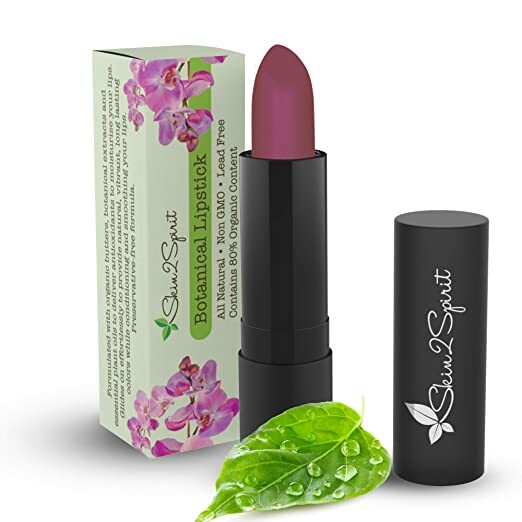 Skin2Spirit’s Botanical Lipstick is made with organic butters, botanical extracts, and essential plant oils, such as shea butter, jojoba oil, castor seed oil, coconut oil, sunflower oil, cocoa butter, and more. It’s cruelty-free and free of lead, petroleum, toxins, phthalates, and gluten. The three colors Cherry, Pomegranate, and Rhubarb cost $19.99 each. Yulip was created when the founder’s face and lips became seriously irritated because of the lipsticks she was wearing, so she decided to create a brand that uses non-irritating, organic, and natural ingredients. That’s why Yulip’s Organic Lipstick is made using naturally-derived ingredients. It’s gluten-free, paraben-free, non-toxic, and fragrance-free. The lipsticks cost $22.00 each. 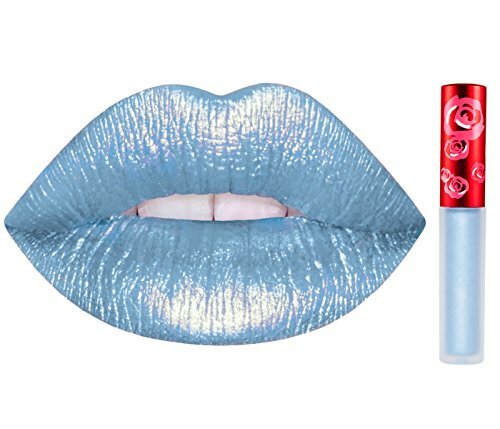 Lime Crime’s Metallic Velvetines are long-lasting liquid lipsticks that dry completely matte, so it goes on like a gloss but stays like a stain. These bold, metallic lipsticks are also verified vegan and certified cruelty-free. There are 14 colors available including Blondie, Cherub, Eclipse, Happi, Lana, Mercury, Mermaid’s Grotto, Passionfruit, Posh, Raisin Hell, Red Hot, Seashell Bra, Siren, and Vibe. They all cost $20.00 each. 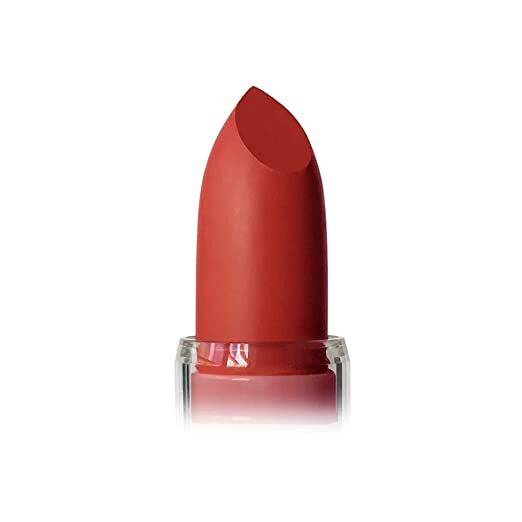 Reina Rebelde Lipstick is vegan, cruelty-free, paraben free, and phthalate free. The brand is a Latina owned and operated brand and has won a Latina Magazine Beauty award. The lipsticks are highly pigmented, long lasting, and come in bold colors! There are six colors available: Brava, Fresa, Moretón, Rose Salvaje, Tatuaje, and Xicana, all which cost $13.99 each. Colourpop’s Ultra Satin Lipstick is creamy and bold. As the name suggests, it stays on for a long time and feels like satin. There are 32 colors available ranging from shades of purple to red, brown, pink, and all kinds of beautiful shades. The price varies by color from $12.75 to $24.99. 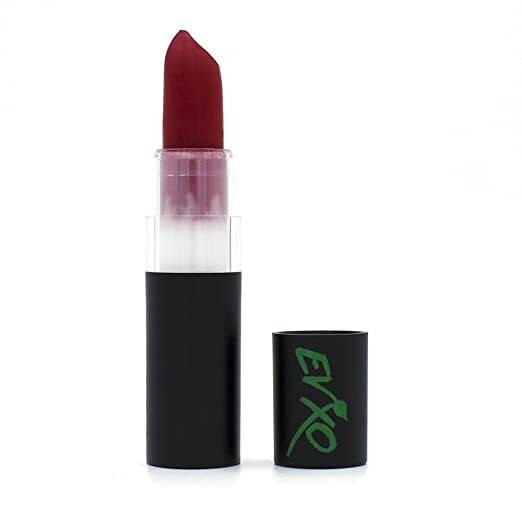 EVXO’s Natural and Organic Lipstick is infused with avocado, coconut, and jojoba oils to moisturize lips and protect them from the sun. They’re free of unhealthy preservatives, and they’re gluten-free, cruelty-free, organic, and vegan. Organic Mango, Cocoa, and Capuacu butters are also among the soothing and hydrating ingredients. There are six colors available: Coral Kisses, Love N’ Lilac, Purely Plum, Radiant Rose, Red Wine, and Sweet Pea, which all cost $17.99 each. We hope this list helps you find new natural lipsticks to try! If you’re looking for more cruelty-free makeup products, check out 15 Cruelty-Free Foundations You Can Buy Online and #FoundersFinds: Current Favorite Cruelty-Free Beauty Products For Daily Use!